Transforming Technologies continues to develop new, innovative ESD protection products. Their new ESD Socks provide an effective way to ground personnel if wrist straps are not an option. Manufactured with polyester, spandex, and conductive yarn, these ESD socks have a resistance of less than 103 (on the gray heel and toe hotspots) and are available from QSource.com in small (up to size 8), medium (8-12), and large (12+) sizes. 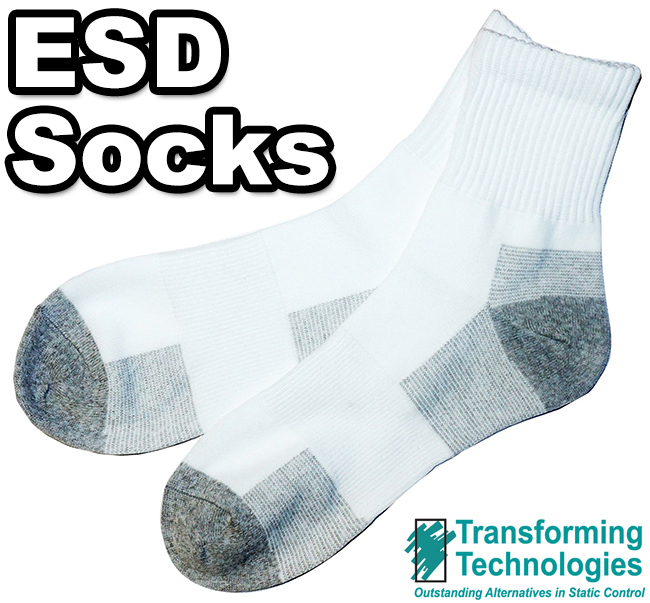 Purchase your Transforming Technologies ESD Socks today. We also offer a complete line of other Transforming Technologies products. You may also contact us by phone (800-966-6020) or email.